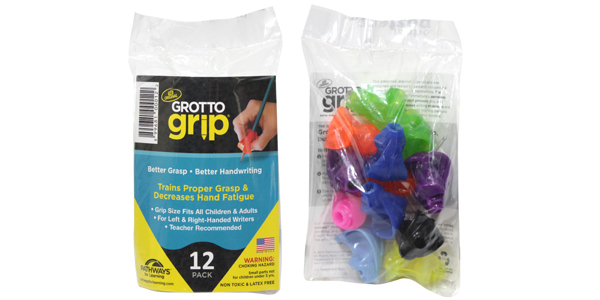 Why is the Grotto Grip® considered the best pencil grip on the market? 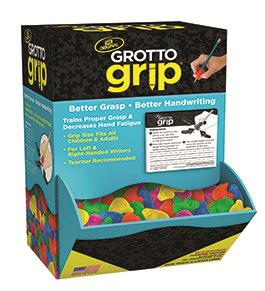 With consistent use, the Grotto Grip® trains the hand to form a proper grasp. Other leading ergonomic pencil grips may feel comfortable but they support the hand at the finger joints encouraging whole arm and hand movements; encouraging a static grasp pattern rather than the use of dynamic finger movements, which can lead to more precision and increased writing speed. The Grotto Grip® activates the muscles in the palm of your hand to allow for dynamic finger movements. 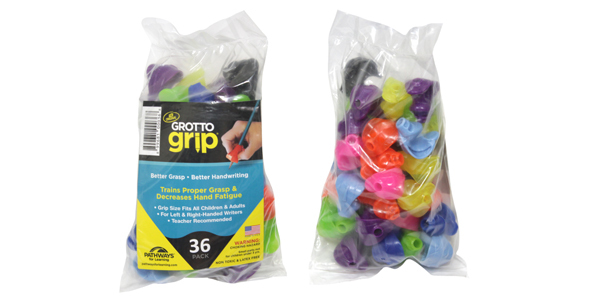 The Grotto Grip® was designed with optimal firmness to provide sufficient feedback to the fingers, which will help maintain a proper grasp while writing. 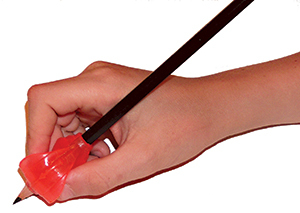 Grips that are too soft, lack finger guards, or place fingers too far from the pencil point may reinforce improper grasp habits. 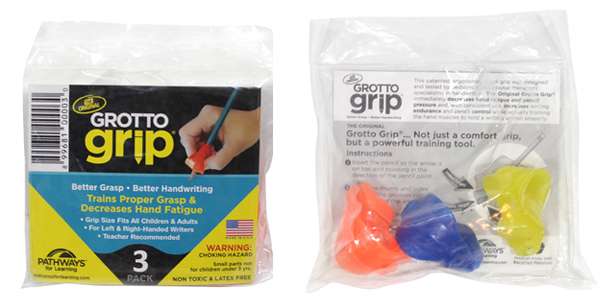 The Grotto Grips® unique design places the hand and fingers in a position which shifts the support to the palm of the hand and facilitates the user to hold the wrist in an extended position; the proper way to hold a writing utensil. The Grotto Grip® facilitates and supports separation of the two sides of the hand by activating the precision side and stabilizing the power side. The result is pencil power and precision without joint strain, hand fatigue or compensatory strategies. Train the proper muscles from the start with the Grotto Grip®.